It's never been enough just to classify enterprise data. Though a daunting task in its own right, once classified, appropriate controls must be put into place to govern access and use of that data. 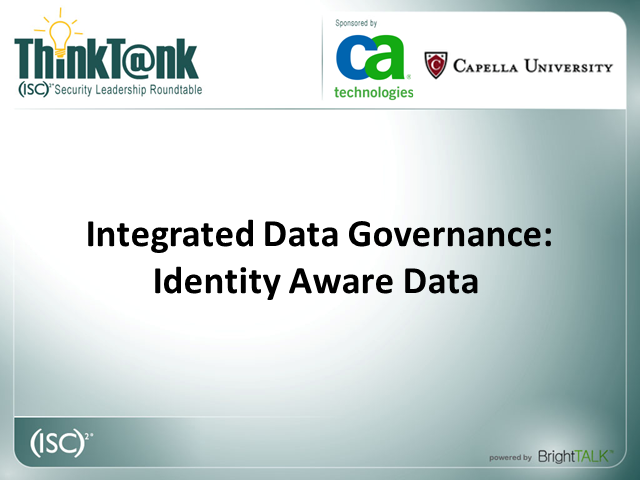 Join us for the last ThinkTank Roundtable webcast of 2010 as we explore the integration points of identity and access management with data protection. Join (ISC)2, along with our sponsors CA and Capella University on December 14, 2010 at 12:00pm noon Eastern and learn how to craft and implement an identity aware data protection strategy.